My name is Gary Ramsfield. Tennis is a sport for a lifetime. I was born in Fargo, North Dakota and started playing at 9 years old. 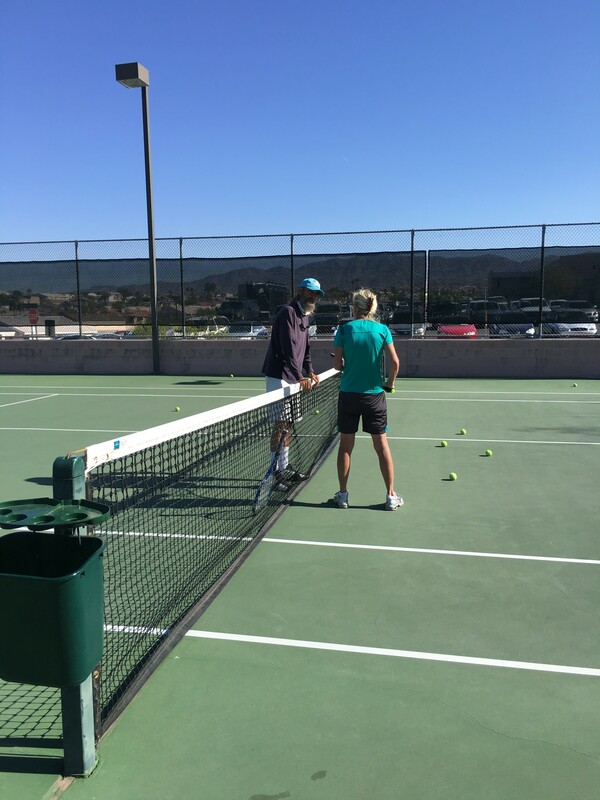 After playing High School and College Tennis I moved to Phoenix, Arizona to play U.S.T.A. Tournaments and teach this sport. I moved to Lake Havasu City in 1975 and was the Teaching Pro at the Nautical Inn Resort until 1982. From 1985 - 2010 I was the Teaching Pro at the London Bridge Racquet and Fitness Club. Havasu Tennis has always had a strong following. Since 2010, most days I can be found at the Stormy Wade Tennis Courts at the Lake Havasu High School. My students are all ages - I can help you. I give private, semi-private, and group lessons. Give me a call at 928-855-4744 to discuss your game and set up a lesson. Gary is associated with Lake Havasu Parks and Rec. If you need to pay for your lesson, go to the link below and it will take you to Parks and Rec.